The other day my son calculated that he spent more than a year of his life – of 11,5 years so far –traveling. He flew overseas 20 times, flew within the North America half a dozen times. I flew with 2 kids, a toddler and a baby, alone when my daughter was 6 months old and my son was 3. Countless road trips, camps, and mini getaways later packing has been a second nature. I’ve learned to pack lighter and quicker. 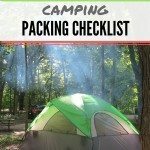 I also learned that a packing list is a must no matter how experienced you are, because a mom – and a dad – has 1001 things on her mind before getting on the road and can’t really rely on her memory. Packing for babies is quite tricky. You have to pack basics with you but also you can find/buy most if not all of the toiletries at your destination. So you don’t have to pack a full inventory for the duration of your travel. Then there is baby gear such as car seat or stroller. In most metropolitan cities, rental car companies carry rental car seats as well as booster seats. Most hotels with 3 stars and up have baby cribs. In addition, there are rental companies which provide strollers, playpens etc. 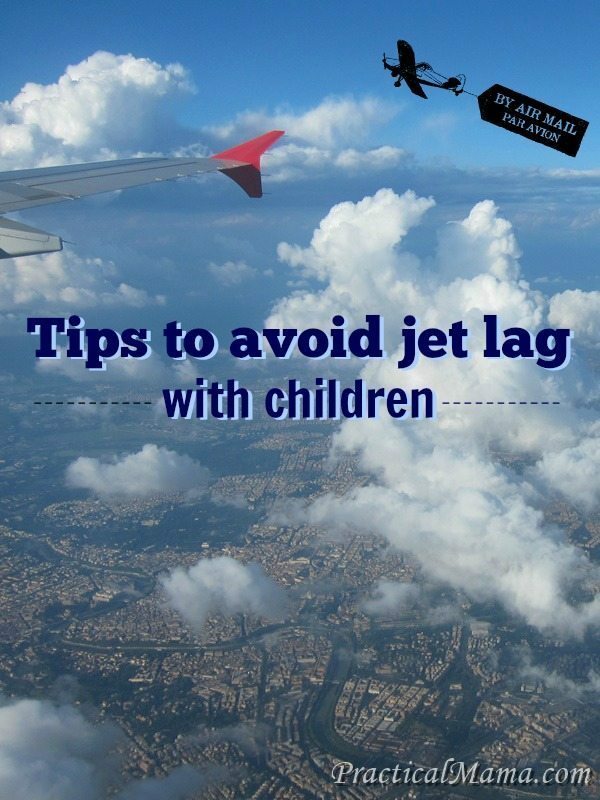 for traveling families. Then all you need to pack is a change of clothes, few diapers and wet wipes and the favorite teddy bear and/or blankie and you are ready to go. 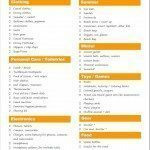 Here is the essential packing list you can use when traveling with a baby and a toddler. Scroll down for the printable list. Stroller: You can rent strollers at your destination. 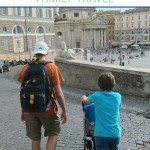 In my post about our trip to Rome, I mentioned that we rented our strollers and were very pleased with the service. Car seat, booster: Always call your rental car company in advance to add the car seat or booster to your rental. Sling, baby carrier: My pouch sling was an indispensable item for traveling with my children when they were babies and toddlers. I carried my daughter until she was 5. Travel potty: My favorite folding potty is as light and small as it gets. Waterproof sheet lining: I always carried waterproof sheet lining in case an accident happened. Outlet adapter for international travel: You can find adapters at the airports but they are much more expensive than what you’d pay at a regular store. Thermos container: If you need to carry around hot water to warm the bottle or warm food for your toddler. Baby medications: Basic medications such as pain/fever reliever. 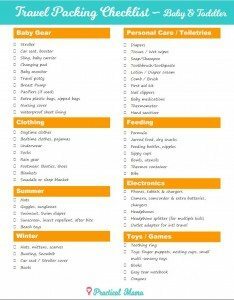 Click on the image to open the printable packing list for travel with babies and toddlers. 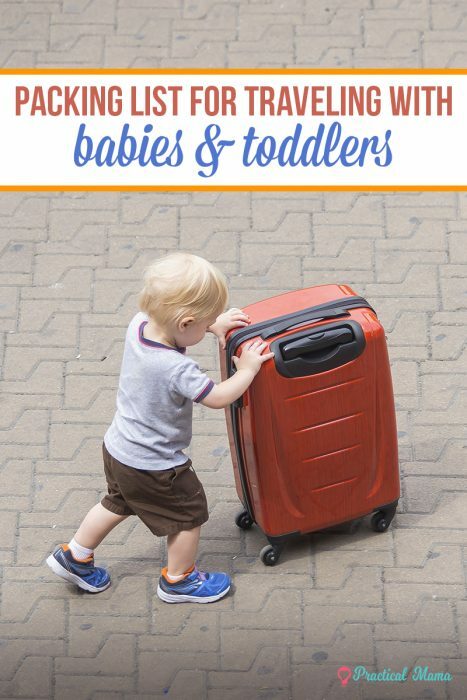 Is there an item that you can’t do without when traveling with your baby or toddler that’s not on the list?